By admin | February 23, 2016. 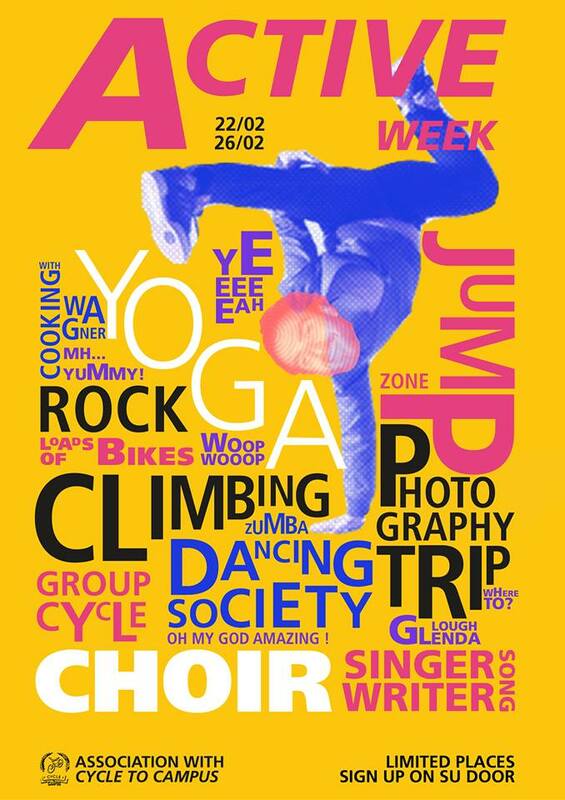 National College of Art and Design [NCAD] students are being encouraged to get active as the college launches their ‘Active Week’. The event, which was organised by NCAD Students’ Union (NCAD SU), will see a number of different activities taking place this week in an effort to increase physical activity among the student body. Among the activities expected to take place is rock climbing, Zumba dancing, a group cycle and a photography trip to Wicklow, with more events set to be announced throughout the week. In an online statement, NCAD SU called on students to find an activity they love and share it with others. “Ehm, we are ACTUALLY really active and sporty. This is the week to find activities you love and to share them with others,” the union stated online. “During the week we’ll have all sorts. Some activities are listed on the timetable provided but it doesn’t stop there!,” they continued. “We’d love to see you take the initiative to put on lunchtime games of football, invite your best friends to go for a walk or a cycle, go for a swim in the sea.. Think of performance pieces that involve getting active,” the union advised online. NCAD SU has joined forces with the cycle to campus scheme to launch the event. This scheme runs all year long, and provides students with discounts on new bikes to encourage more people to cycle to college. 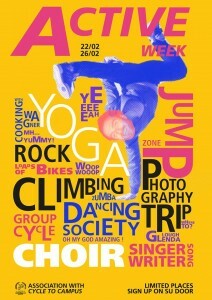 NCAD SU’s Active Week takes place from February 22nd-26th. Students can sign up within the college.